After unveiling a relatively affordable 10.1-inch Android tablet last month, Barnes & Noble has also unveiled a new Nook Tablet 7 in time for the holiday shopping season. The tablet is priced at $49.99 and aims to compete against the Amazon Fire 7 which is offered at the same price. 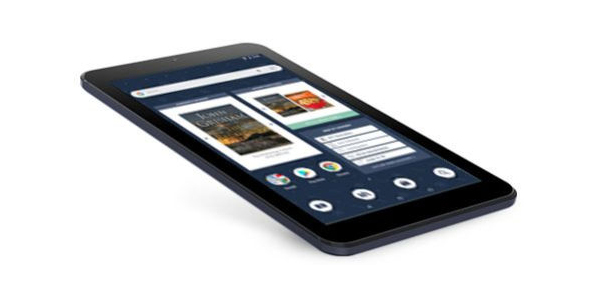 The 7-inch display on the NOOK Tablet 7 has a rather modest 1024 x 600 pixel resolution, 16GB of internal storage with microSD expansion, a 2-megapixel rear camera, a VGA front camera and a battery which offers up to 7 hours of reading, watching videos and web browsing. The processor and RAM capacity have not been specified, making it hard to gauge how well the tablet will perform. The main purpose of this tablet is giving customers access to the Barnes & Noble book collection. However, one of the key selling points of the NOOK Tablet 7 has to be its full Google Play access. 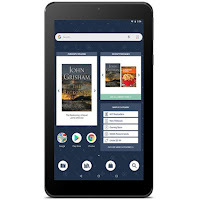 Unlike Amazon's offerings, NOOK users will be able to access and download any of the apps available on the Google Play Store.